Probably the last place you’d think to look for treasure is in the pages of your calendar, but there could be insights waiting for you there. Recruiters know that past performance is usually the best indication of what will happen in the future (that’s why they’re always asking you to “tell me about a time when . . . “), so it’s a good idea to become more familiar with what you’ve done; to be able to talk about your work and your life with some objectivity and perspective. It can help you find your own jewels of insight. Goal setting and planning processes often start by asking you to review the previous period. In business the period could be the previous day, week, month, quarter or fiscal year. If you are in a more personal mode, think about what started this “period”. Think like a biographer: Picasso had a Blue Period, Winston Churchill had The War Years, your mother had before kids/after kids, Dylan had acoustic/electric. Being able to look back on your day, plan your week, and get a sense of how you are doing based on your own measures can be helpful for creative types as well as those in more traditional businesses. A quarter (three months), six months or a year or some other period that is most appropriate for this planning session. For example, if your situation has been the same for some time choosing the previous, 3 to 12 months might work well. If you’ve just been through a transition, for instance just graduated or retired, had your first child, or come back from a long trip you might want to look at the whole period that preceded the transition, or the most appropriate period for you could be related to health, to emotions, or to a major creative project. If you had some goals for the period, whether formal or informal, it’s good to have a list. If you didn’t have goals, can you remember what you wanted? Considering the questions below can help you uncover the connections between what you have now and what you hoped to have. When were you happy during the previous period? Is there anything you do every day that connects with what made you happy? What contributed to your unhappiness? Look at the resources that you found most useful. What helped and supported you? What spurred growth and challenged you? Where did you learn? What resources do you maintain or use that aren’t contributing much? How’s your network of friends, colleagues and champions? Where do you feel you made the most important contribution? When did you feel lucky? What happened with plans? What happened without plans? Did you have a vision? Did you have an idea of the endpoint? What’s tucked away in your heart for later? How did you know you were on or off track for success? What obstacles did you know you faced? Did you have a plan? How did it work? What came up that you didn’t expect? How did you respond to achieving a goal? How did you respond when it wasn’t working? What do you want to acknowledge about yourself or your effort? What do you want to acknowledge about others? What kinds of resources did you use? What resources were available to you? Where you able to maintain your resources? Did you develop any new resources? What resources aren’t worth maintaining? How do you show appreciation for resources? Once you’ve worked through the questions go through your notes and mark your treasures, things you want to celebrate or integrate into the plans you’re making now. Then go through and mark the holes, the information about obstacles, mistakes, omissions, the things that got in the way during the previous period. These are sometimes even more valuable for future plans. 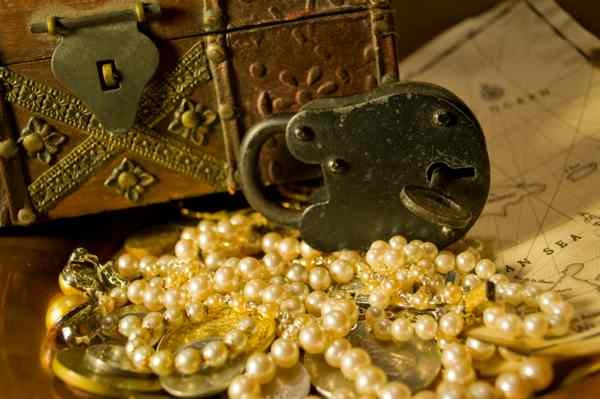 As you begin to set or refine goals for the next period use your buried treasure and the holes you discovered to bring depth and context to your strategy. I’ve been using a creative log and find tracking my creative work each day a motivator. This way I can’t drift through a day or two without realizing I haven’t done any creative work. Because my week is focused more on producing work than meeting with others I can use a simple format: Just the date and the creative work I did that day. Join the conversation: How do you track your ideas/projects/goals? Do you set aside time to work on goals? Do you have goals? If you don’t like goals, I’d love to know what keeps you from using them.